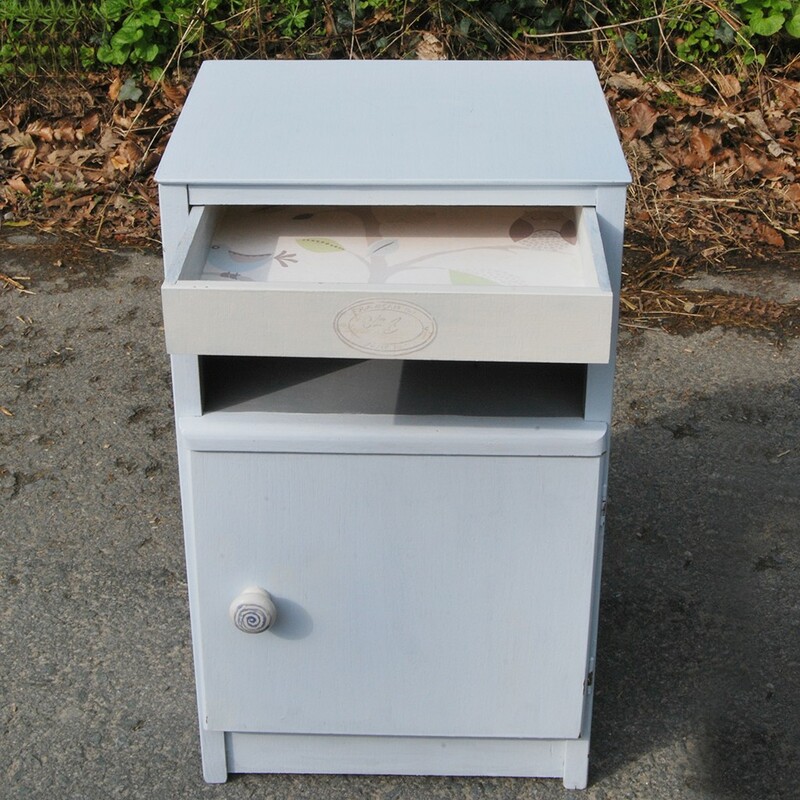 Upcycled small locker, would make a great pot stand or bedside table. Painted in Fired Earth Mezzo Blue and Canvas (off-white). The drawers are finished with a gorgeous decoupage owl detail.